Whether you took part in the project in 2018 or not, anyone is welcome to sign up to sing in the chorus. You'll be singing in a group, alongside professional singers and solo-ists. Anyone who enjoys music, loves to sing and has the time and commitment is welcome! 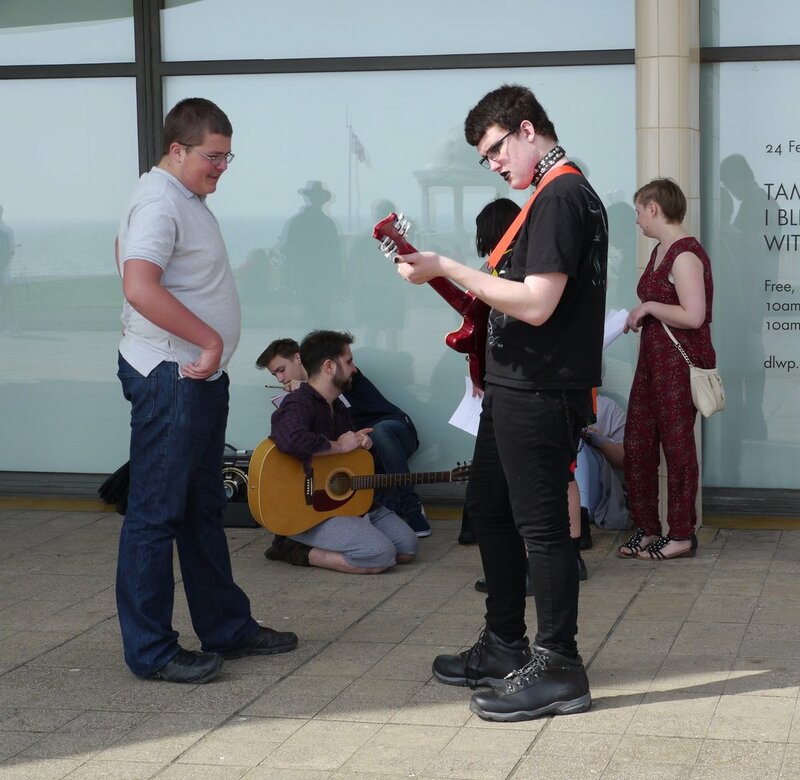 Workshops and rehearsals will be taking place in March and April 2019, all building towards a performance at the De La Warr Pavilion on Sunday 28th April. During the workshops you'll be learning a number of singing techniques, as well as learning a part in the opera. 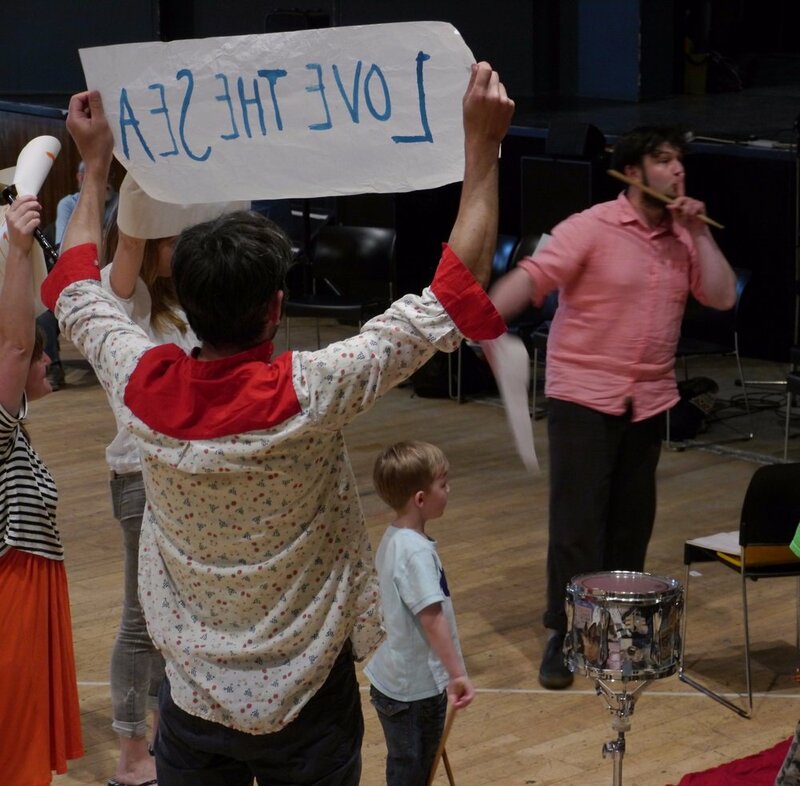 The workshops will be led by different members of our team: Lesley Anne Sammons, Barefoot Opera’s electric MD and highly respected opera coach; Jenny Miller, Barefoot Opera’s director, well-established singer and teacher; Lucy Mulgan, Barefoot Opera double bassist, composer and all-round outstanding musician. Click below to find out more about what's involved and to sign up to take part. We are also looking for people who would like to sing a short solo part (or even just line) in the opera. Some choir members may like to step out into more featured roles. 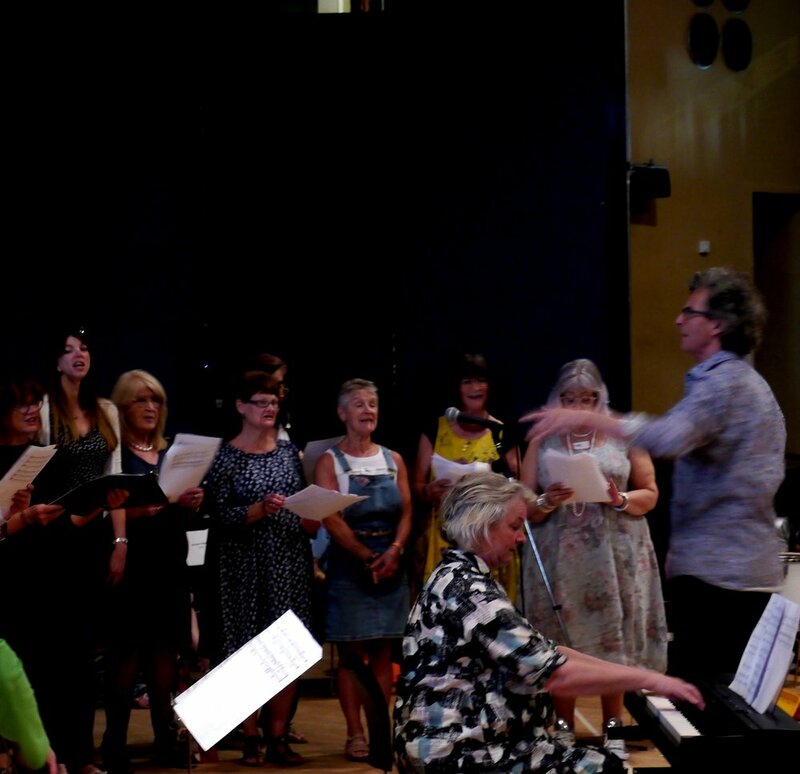 You don’t have to be a professional singer – you may sing in a choir, or not - but you may want to take your interest in singing a little further. Composer Orlando Gough, librettist Stephen Plaice and singer/director Jenny Miller will be holding workshops for ANYONE who would like to have a featured role or solo line(s) in the opera. Dates and locations to be announced. Please email jane.barefootopera@gmail.com to find out more. Witness three days of musical improvisation, led by members of our team, during Hastings Fat Tuesday, the annual week-long showcase for Hastings' thriving music scene. Anyone is welcome to pop in and listen, contribute texts and thoughts. Stay for as short or as long a time as you like. Otti Albietz, Tom Clarkson and Lucy Mulgan wlll be joined by Frank Moon , Bev Lee Harling, and other members of the music community in the music-rich town of Hastings. This particular project was inspired by the spirit of improvisation created during last year’s Research and Development, and our aim is to continue to explore - with music and text - the themes around a sea-side town, making new musical connections with local players as we do so. We are continuing to organise workshops in various locations and with various groups in our communities. These will enable new groups to try out singing and consider delving into this new opera. We want to enable latecomers to participate! I HAVE SMALL CHILDREN – CAN I TAKE PART? We are currently organising some babysitting sessions with trained professional supervisors, so that people with children who can take part in the opera. We will not be able to provide complete cover, but you may find we can help! Please get in touch with Jane Freund about this.